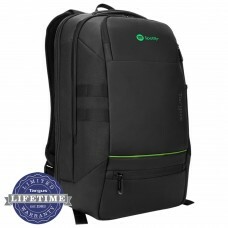 A perfect blend of style and storage, the Spruce™ EcoSmart® Checkpoint-Friendly Backpack is designed to protect widescreen laptops up to 15.6" in size. Eco-friendly to its core, it’s constructed with polyester made from recycled plastic bottles and features nickel-free hardware and recyclable plastic components. 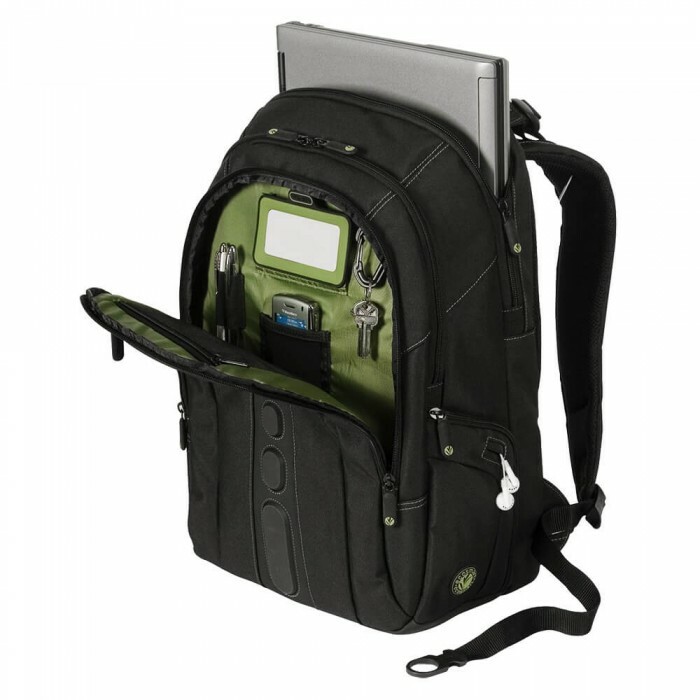 To store your essentials, the backpack features a key clip, water bottle holder, MP3 player, business card holder, pen loops, and accessory compartments. 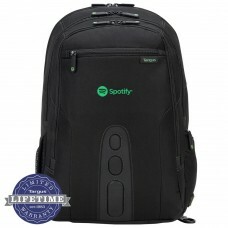 A quick-access front pocket provides a convenient place to store items while on the go. 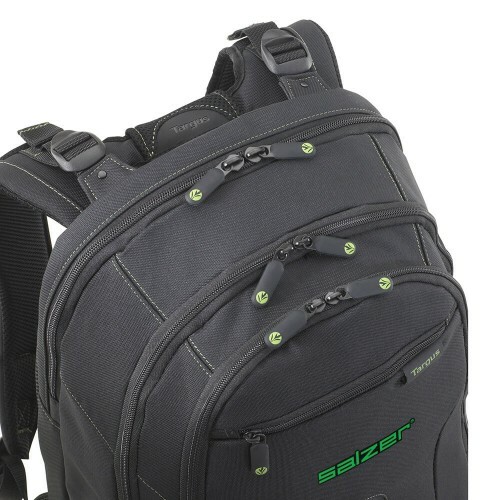 The padded back panel and adjustable shoulder strap allow for a customized, comfortable fit. 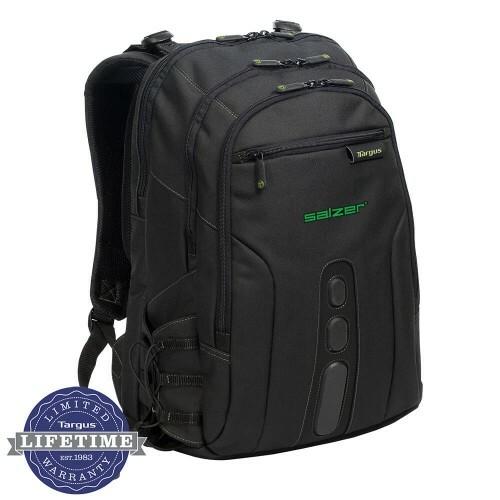 The Spruce™ EcoSmart® Patented Checkpoint-Friendly Backpack is designed to protect up to 15.6" widescreen laptops and is constructed with polyester material made from recycled plastic bottles. The case also features nickel-free hardware and recyclable plastic components. 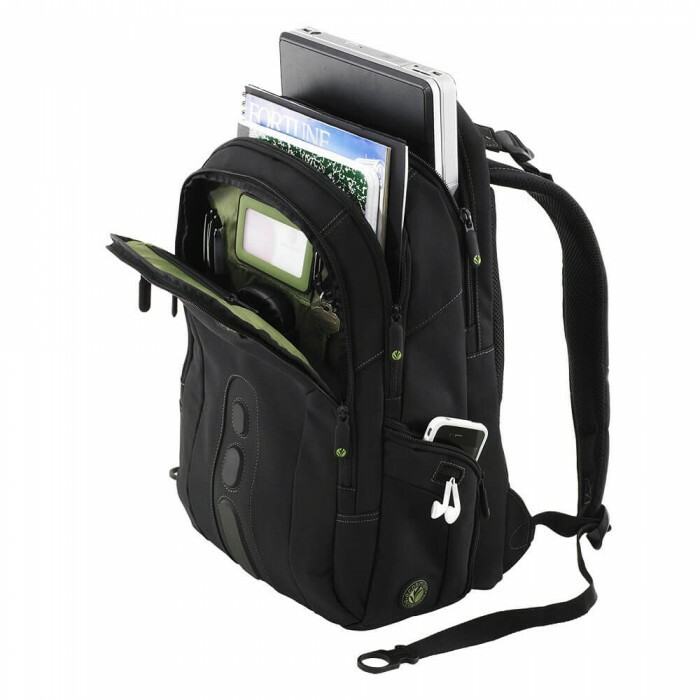 To store your essentials, the backpack features a key clip, water bottle holder, MP3 player, business card holder, pen loops and accessory compartments. 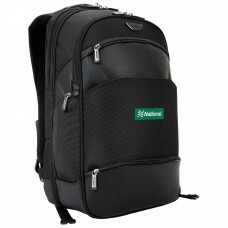 Quick-access front pocket provide a convenient place to store items while on the go. 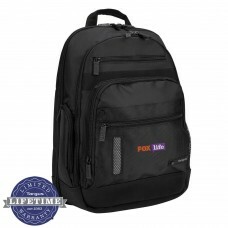 The padded back panel and adjustable shoulder strap allow for a customized, comfortable fit. A colorful green interior lightens the case, making items stored inside more visible. Size: 12 1/2W" x 18 1/2H" x 5 1/4D"
Carton/Dimensions: 23L" x 19W" x 14H"